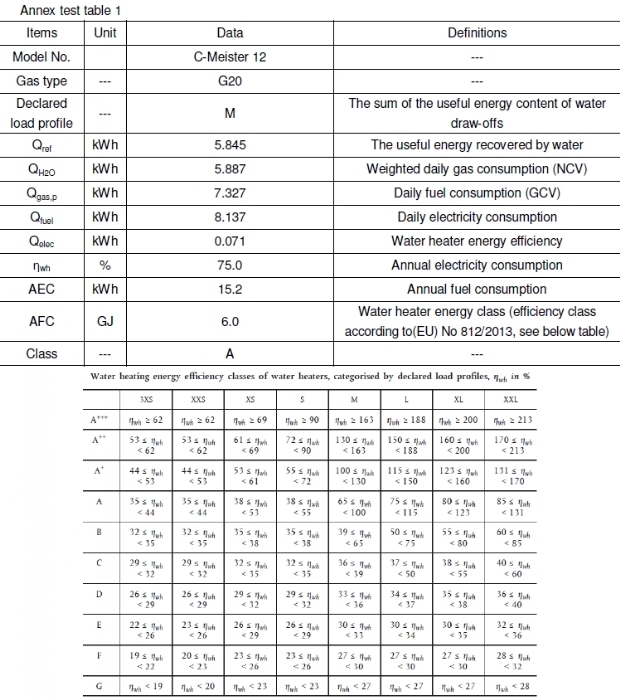 The gas water heater model "C-Meister" can be installed indoors and is a 12 liters per minute model. The C-Meister is a direct-vent, modulating constant temperature water heater. 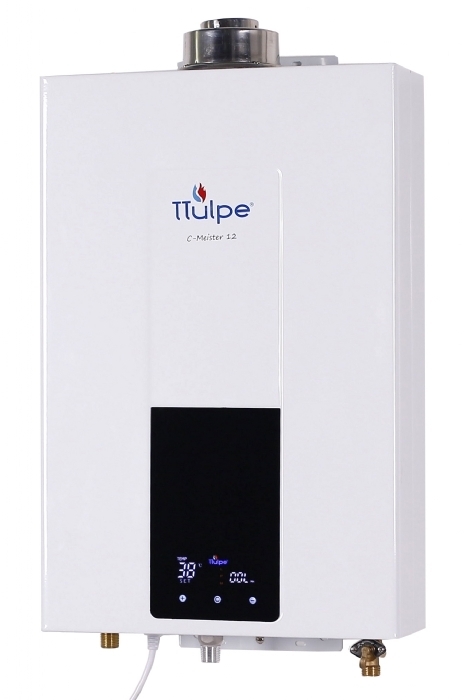 TTulpe cares about the environment, our water heaters do not contain any hazardous materials and comply with the limits as set by RoHS 2 Directive (EU) 2015/863 amending Annex II to Directive 2011/65/EU. heat the water needed. 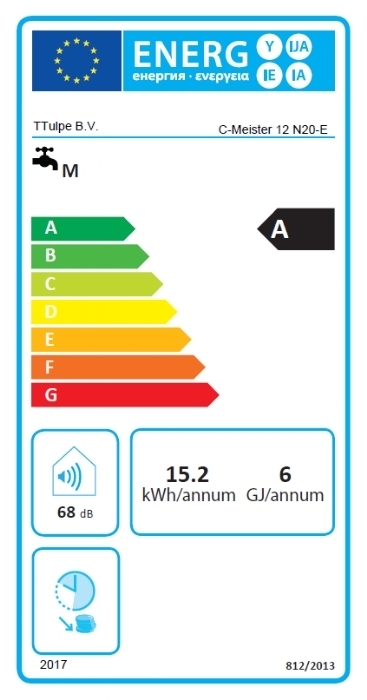 This provides a considerable energy saving. exhaust gasses are pushed outside. This makes it possible to mount the water heater in any (bath-) room without restrictions in the whole European Union. the water heater to provide safe and efficient operation. Delivery includes two stainless steel water hoses, water shut-off valve, gas inlet adapter, Teflon tape and mounting set.